The aim was to paint it using directional lighting, and make the colouration a bit more monochrome and subtle, rather than my usual approach of strong colours, and edge-highlighting. I don’t have an airbrush, so used dry-brushing to achieve the lighting effect, and add texture. I was originally going to cover the earth-parts with static grass; but I think it will look better with a few fairly sparse adornments instead – so that it resembles a derelict landscape. I also need to re-work a few aspects slightly – such as the free-hand fish skeleton, which looks like a bad attempt at calligraphy; and brighten the mossy areas. How to create a miniature cornfield by RobHawkinsHobby. A beginner’s guide to painting by MassiveVoodoo. 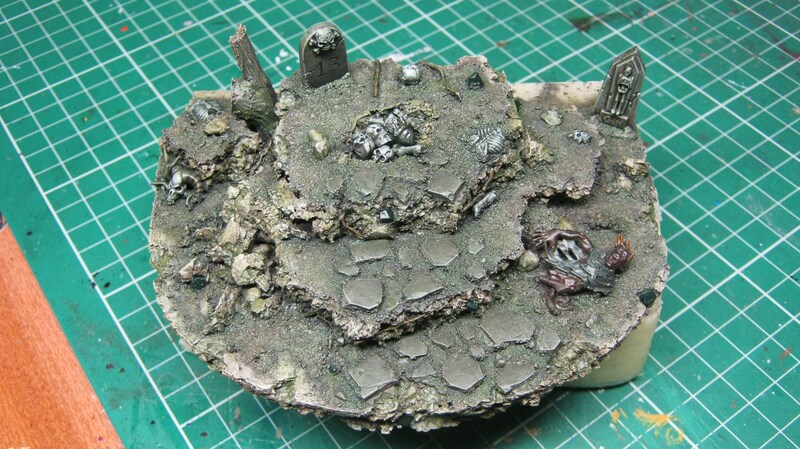 A step-by-step guide to creating a forest base, by MagieMiniatures. How to paint resin bases by TaleOfPainters. 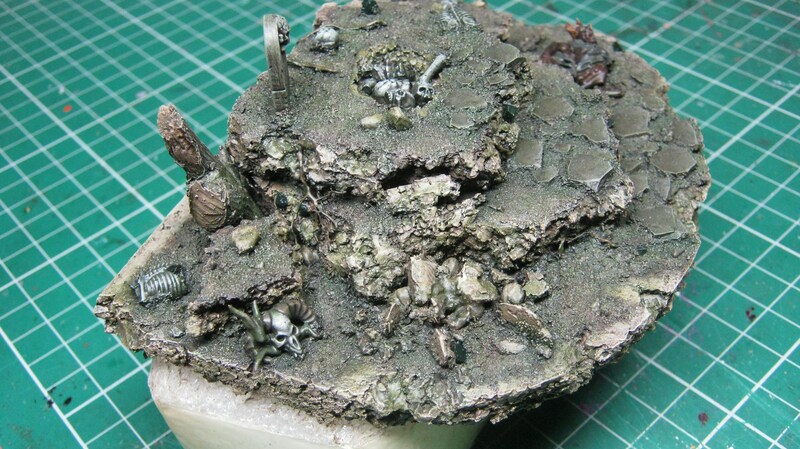 A bit old, now – but a piece on basic groundwork, by PirateVikingPainting.